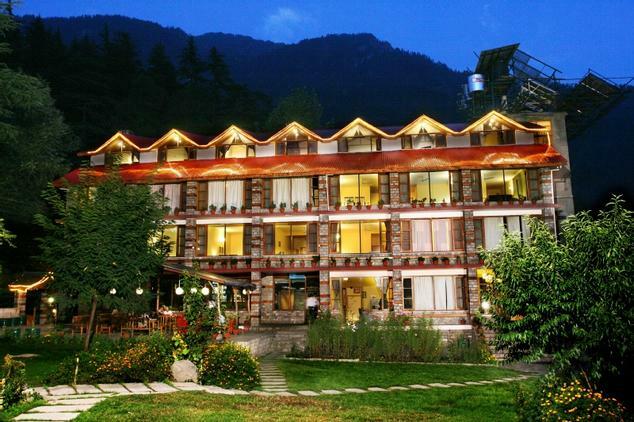 Manali Resorts boasts of an amazing location with the river Beas flowing by and breathtaking mountain peaks in the surroundings. 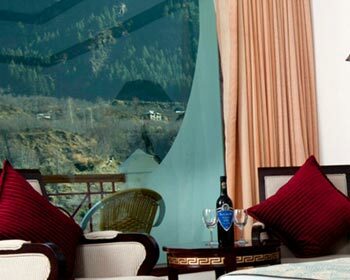 The hotel is at a distance of just 5 minutes from the Manali bus depot while the Bhuntar airport is 45 km away. The town market is also close by as are various places of attraction like Hidimba Temple, Solang Valley, Tibetan Monastery and Nehru Kund. 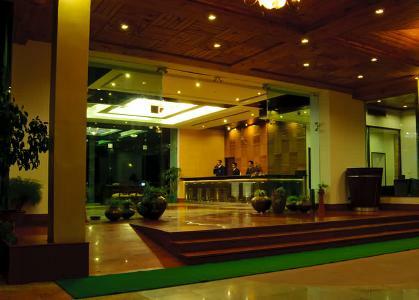 Among the numerous amenities and conveniences offered by the hotel are currency exchange, travel desk, laundry services, express check in and checkout, conference and banquet facilities, parking and airport shuttle (surcharge / on request). Guests can also take advantage of the in house spa to relax and rejuvenate. 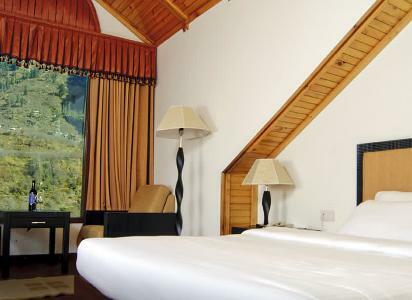 The rooms are elegant and have beautiful wooden furnishings. 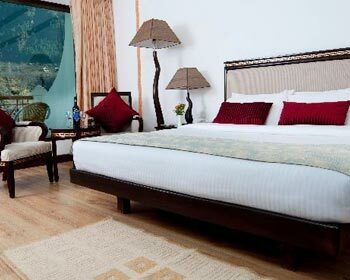 The modern amenities included in these rooms are climate control, individual lighting, satellite LCD TV, tea / coffee maker, mini bar, well appointed work station, internet access, direct dial facility on phone, personal safe and 24 hour room service. The attached baths are fitted with shower, hair dryer and complimentary bath accessories. 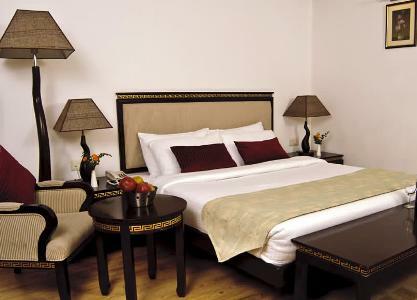 The duplex are spacious and tastefully decorated with modern furnishings that ensure a hassle free and comfortable stay. 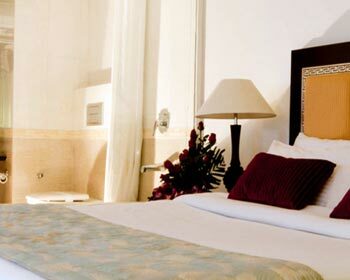 Replete with contemporary facilities, these rooms include LCD TV with satellite channels, direct dial telephone facility, internet access, climate control, work station, individual lighting, tea / coffee maker, in room safe, mini bar and private bath with shower, premium toiletries and hair dryer. Round the clock room service is provided. 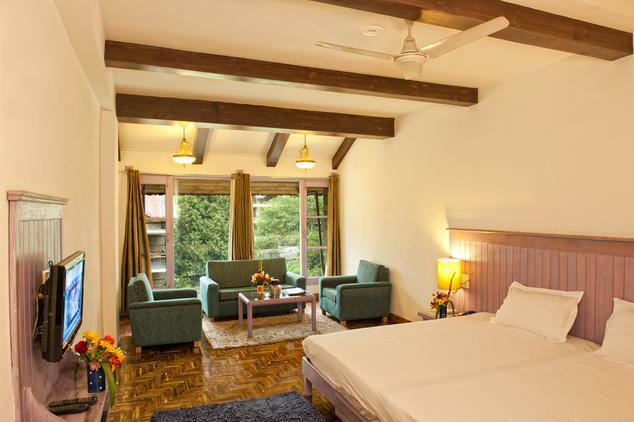 The suites have lavish interiors and graceful wooden furnishings. 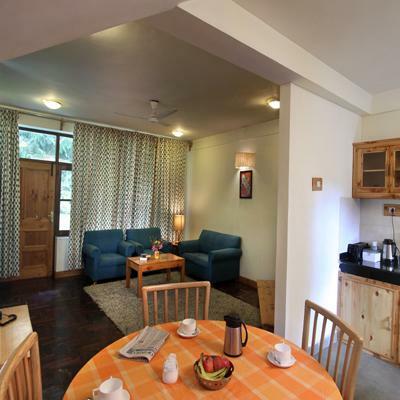 All the suites offer amenities like internet access, telephone with direct dial facility, climate control, individual lighting, LCD TV satellite connection, mini bar, tea / coffee maker, personal safe, well appointed work station and round the clock room service. The private baths are spacious and equipped with shower, bath essentials and hair dryer. The restaurant serves a wide array of mouthwatering delights including Indian, Gujarati, Continental and Chinese cuisines. 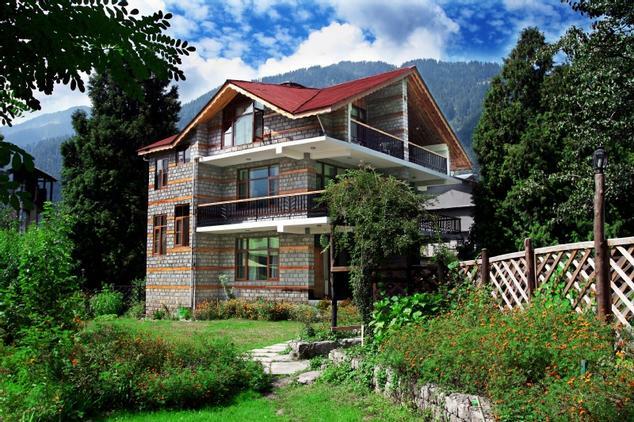 Once here, do try the regional Kullu cuisine that are exquisitely prepared with aromatic spices and local ingredients. 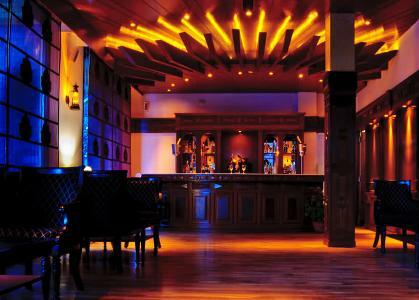 The interiors are stylish and elegant and perfect for a fine dining experience. Relish the scrumptious delicacies while enjoying quality time in a pleasant atmosphere. The services are excellent and the staff is hospitable. In room dining is also facilitated. The bar features some of the finest liquor from across the globe. Have a great evening with friends and close ones while enjoying delicious wines and spirits. The hotel offers a beautiful barbeque location, with lush greenery of the gardens and picturesque mountain landscapes in the background.